Lu, L. D., Sun, Q., Fan, X. Y., Zhong, Y., Yao, Y. F. and Zhao, G. P. (2010). 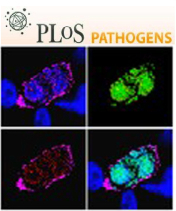 Mycobacterial MazG is a novel NTP pyrophosphohydrolase involved in oxidative stress response. J Biol Chem 285(36): 28076-28085.